PASKACHEVAL - Ointment rich in tar and laurel oil. Perfect care during the winter period. 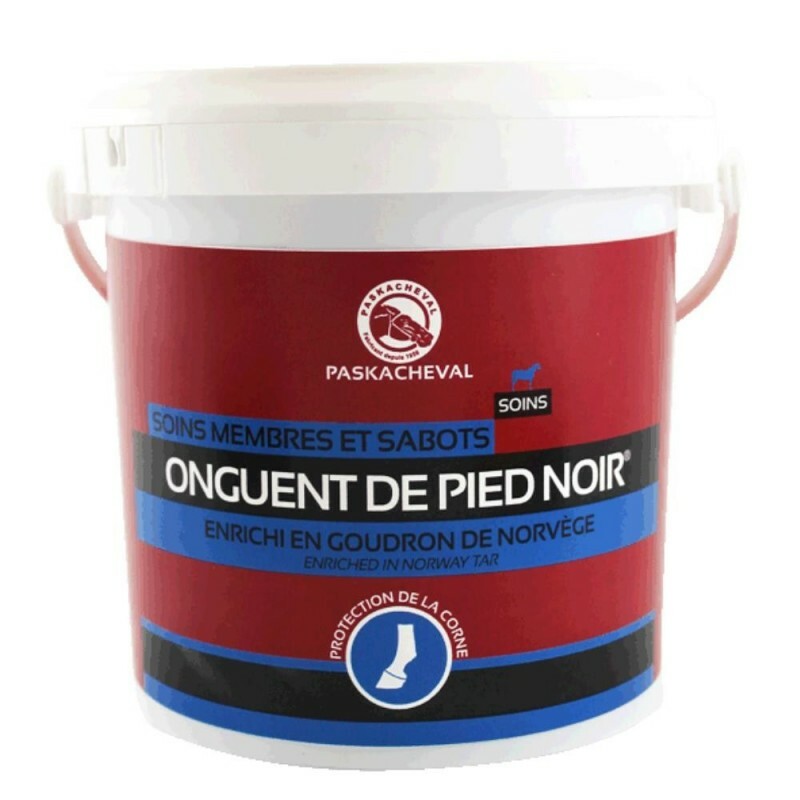 - 1,5, 10 ou 20 l.
PASKACHEVAL's ointment penetrates the horn to nourish the hoof deep down. Waterless formula, as a consequence, the ointment is easy to use anytime of the year. BLACK OINTMENT : rich in tar and laurel oil. Perfect care during the winter period. Weight Seau de 1, 5, 10 ou 20 l.